One character trait I never had – even in motherhood’s dysfunctional days – was Stage Mother. I only provided transportation as my daughters danced, ice skated, soccer’d, sailed and jumped over fences on beloved horses. I thought I was above helicopter parenting. This summer, my daughter enrolled my six-year-old granddaughter in a two-week theater camp. 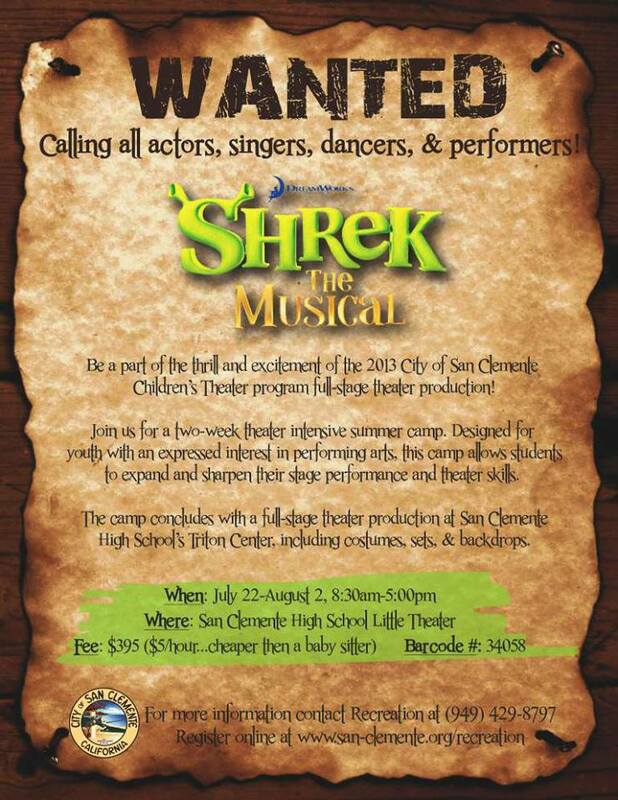 The libretto for Shrek The Musical arrived the Friday before camp. She was perfect for that part. My hair began to fall out and my blood pressure entered the danger zone over the following 13 days. I knew the entire score for Shrek, and could recite or sing any part. Parents were given four tickets and told that seats could be saved an hour before each of the two performances. I was the oldest ‘parent’ in line, an hour and a half before the first performance. I realized that all the years of priding myself as immune from pointing an offspring toward my personal dreams had been a lie. Happy Villager, Ugly Duckling and Baby Bear had a couple of wardrobe malfunctions, and demonstrated to the older members of the cast why it’s dangerous to perform with dogs or small children. A month has passed. Friends and family have begun to speak to me again now that stage grandmother has taken her last bow. Not entirely. I think I’ll audition for a part in a teeny theatre production. Anything but finish my novel.